Third's the one with the hairiest chest. Such laws are hard to deny! Thus I struck upon an idea for a mini-tournament. 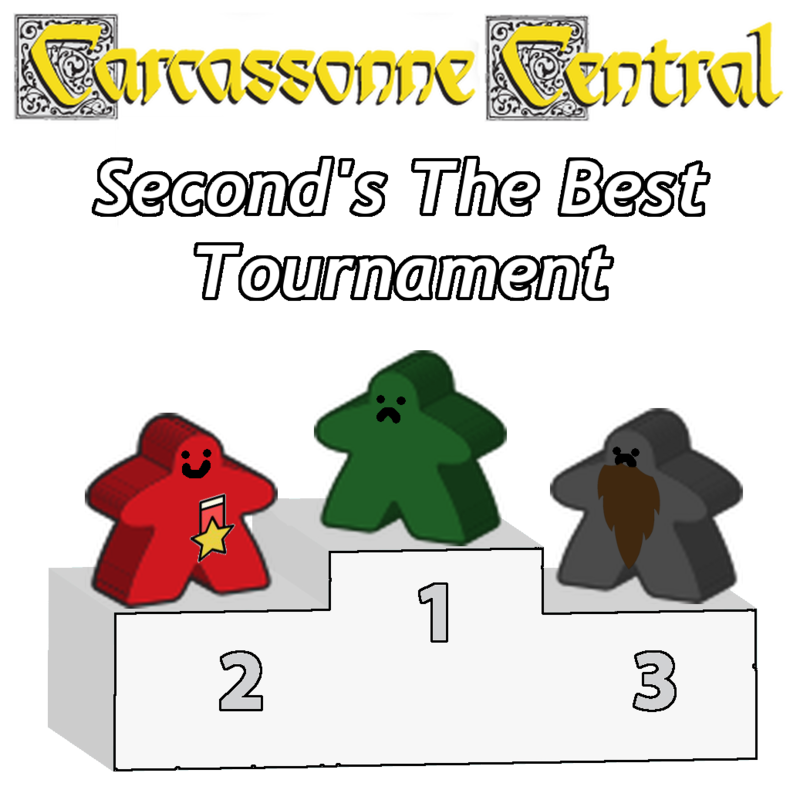 Put simply: In a 3-player game of Carcassonne, could the 'best' player manipulate the game in order to score the second highest number of points? How do you score enough points to not come last, but prevent other players from helping you score too many points? For me, such a competition is about taking part and having fun. What better way of celebrating competition than not coming first? At the moment I'm looking for 9-players, which will be randomly split into 3 groups [A,B,C] to comprise a first round. The players in each Group will schedule 3 games to be played with all 3 players. Each game will compose of different expansions (TBD). A running total of score will be kept for the round. After all three games are played each group will have a Best (2nd), Worst (1st) and Hairiest (3rd) player. After all the games are played there will be a final play-off round to determine who is the 'Best of the Best', the 'Worst of the Worst' and the 'Hairiest of the Hairiest' and other humorous titles. I've got my eye on 'Best of the Hairiest' but I suspect the competition to be tight. The Best of the Group would be Player 2, The Worst: Player 3 and the Hairiest: Player 1. There will be some spot prizes to be determined too. We need enough interested parties. Don't forget The Last Man Standing, Dream Team Games & Princess and Dragon Tournaments are still running. I doubt this this mini-tournament will start until one of these is finished. Please make sure to prioritize your existing games over new ones. Please only put your name down if you can easily schedule your games to play. 3-player games are notoriously difficult to schedule. Though I said grouping will be random, I suspect some timezone manipulation to take place to make scheduling easier If there's more than 9 players, I'll consider some other rankings. As always, open to suggestions and please let me know if you have any questions. I am in! Interesting idea from strategic point of view! While reading the post, I thought that scoring would be different: I imagined that for finishing 2nd you receive 3pts, for 1st - 2pts, and for 3rd - 1pts, and then after 3 games you have a sum of these points. In your variant we will have to keep in mind (or in parallel opened Excel spreadsheet) our previous scores (also opponents scores) in order to understand strategy for the next game (and during the game). That's right. We'll need to be careful with expansions and the score deviation. But we have lots of stats from tournaments to tweek this. The problem I foresaw with allocating points was after winning two games, it's almost impossible to purposely lose to earn 2nd place. I think we'd need to play a lot more 3-player games to achieve deviation. Great to have you aboard too Mr Numbers! It sounds fun! I'm in! Count me in as well. 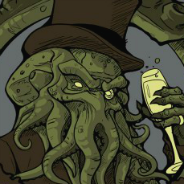 I predict a lot of brainfarts. Wow! That makes 9 players! Can you confirm that, Decar? Regarding the term "first's the worst", I would assume 3rd place to net more points, then 1st? However, count me in, too. There will not be points awarded for a victory.